What is your favourite dance style and why? Freestyle, which combines a lot of dance styles together like Michael Jackson did. I am lucky enough to have seen the origins of a lot of dances, so I understand the basis of most of them. Dance is the second expression of music behind song, and you can’t do either and not feel good. What age were you when you first learnt to dance? And what inspired you to do so? I was about five, and everybody around me danced. It seemed when you heard good music you just danced – it was just as natural as walking. On my first day at kindergarten the teacher asked if anyone could dance, so I raised my hand and she asked me to dance for them. I did a little dance and everybody clapped and yelled for me – from that point on I knew what I wanted to do: dance, dance and dance. Why do you think dancing is a good for children to do? It’s great exercise that helps your mind and body work better. It’s also expressive and fun and it is one of the gateways to happiness. What do you hope people will get out of your Fringe show? I hope that when people leave my show they feel they have had a great experience, that they are feeling good about life and knowing that you can change the world by changing you. 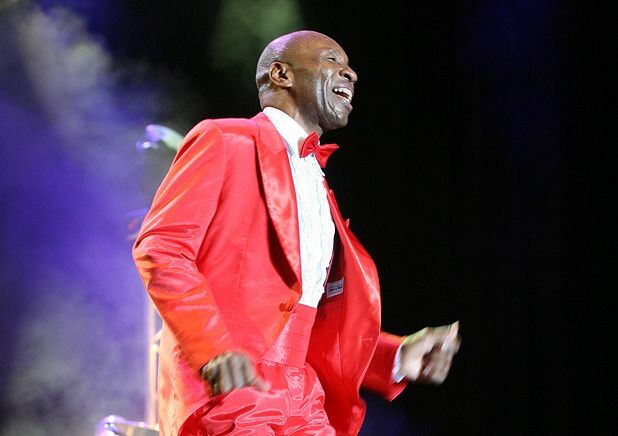 Movin’ Melvin Brown: Just Singing and Dancing … You Can Do It!, C eca, until 29 Aug (not 22), Noon, £7.50–£9.50 (£5.50–£8.50). Movin' Melvin Brown: Just Singing and Dancing… You Can Do It!